What happens when a well know cake and treat company takes inspiration from an author that sent children’s imaginations into overdrive? A whole host of aptly themed treats that’s what. Yes Mr Kipling has taken inspiration from Roald Dahl and transformed some of it’s favourites with new and exciting flavours. 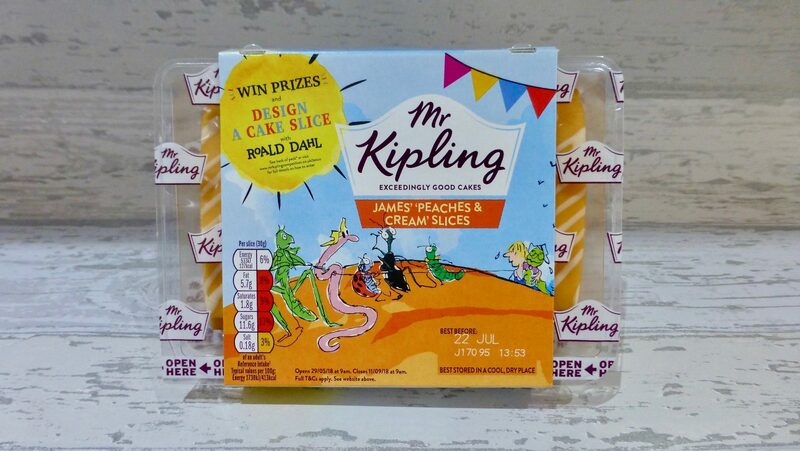 From George’s Marvellous Lemon & Raspberry Whirls, Enormous Croc’s Chocolate Mud Pies and The BFG’s Strawbunkle & Cream Fancies, to name a few, I had my eyes on one thing and one thing only, Mr Kipling James’ Peaches & Cream Slices. Why? It’s purely down to the peach! Some of these you can find in other supermarkets but these Peaches & Cream Slices and the Peach French Fancies I have only seen in Tesco. Brilliantly orange, the peachy smell was instantly evident. As ever the sponge was light, airy and there wasn’t a dry crumb in sight, which for an off the shelf packet this always takes me by surprise. Mr Kipling has absolutely nailed the peach flavour and really put a smile on my face. It tasted fresh, fruity and the peach was undeniable. 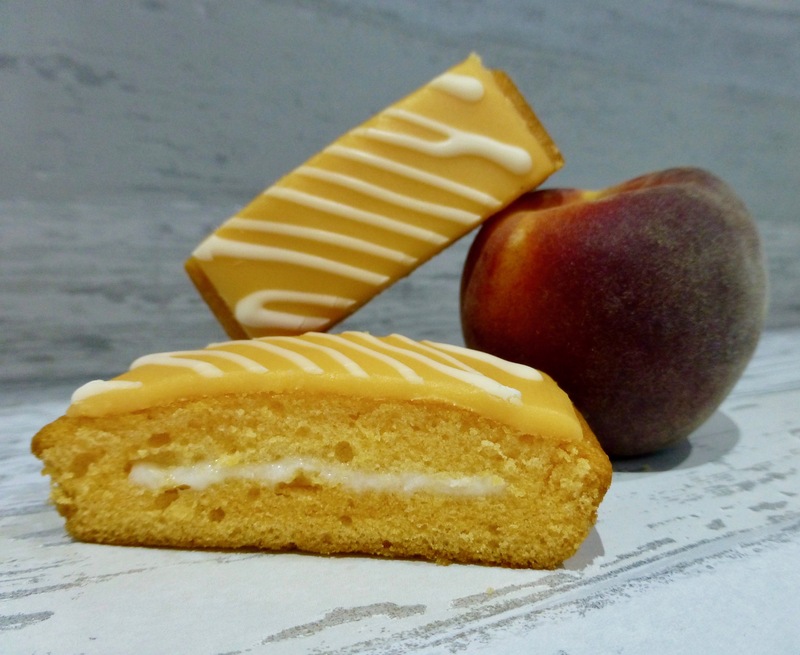 Mr Kipling James’ Peaches and Creams Slices is like summer in a sponge and I am a little saddened that these are strictly limited edition. These perfectly sized snacks are certainly my favourite that Mr Kipling has done in while. Fun, fruity and delicious, what more could you want? Have you tried the new Mr Kipling range? Which is your favourite?